Just Give Us a Day! We understand that you are busy. Wouldn’t it be nice to be able to come in and take care of everything in one day? That’s why we are offering a one-day full service express enrollment day on the Springfield campus to complete all the steps to become a student. Meet with OTC admissions representatives, financial aid advisors, academic advisors and career advisors. Can’t attend? Don’t worry! We are here all summer long to help with your registration needs. Stop by any of our locations or email studentservices@otc.edu. 9:00 a.m. - 10:55 a.m.
Do you need help deciding what program or career to go into? During this time, you will be able to meet with a career counselor, take a career assessment, and discover your best fit. During this time, you will have the opportunity to complete the application for admission and the FAFSA. It will be important to have your 2016 tax information (1040s and W-2s). If you are under 24, not married, do not have children, were not a ward of the court, or military personnel, you will also need 2016 parent tax information. On the tour, you will be able to see campus resources, classrooms and programs OTC has to offer. Make sure to wear shoes you are comfortable walking in! Lunch will be available for those who register. If you have special request or accommodations, please let us know! During this time, you will complete the online orientation, which gives you a general overview of the college and other important information. You will also get your photo taken for your student ID. During this time, students will complete the Student Advising and Registration session. Think of this as the boot camp of the college. Once you complete STAR, you will be able to register for classes. During this time, students will be able to make payment arrangements, speak with an academic and financial aid advisors if needed, and finish up anything else they need to. Space will be limited. Reservations are preferred to save a spot for you and guests, but walk-ins are welcome. RSVP is required for the free lunch. What if I am a transfer student or re-enrolling at OTC? Transfer and re-admitted students are welcome to attend Express Enrollment Day. We encourage transfer students to bring official transcripts from all previously attended colleges. Re-admitted students who have a balance with the college cannot register until the balance is paid in full. What if I am a current OTC student? 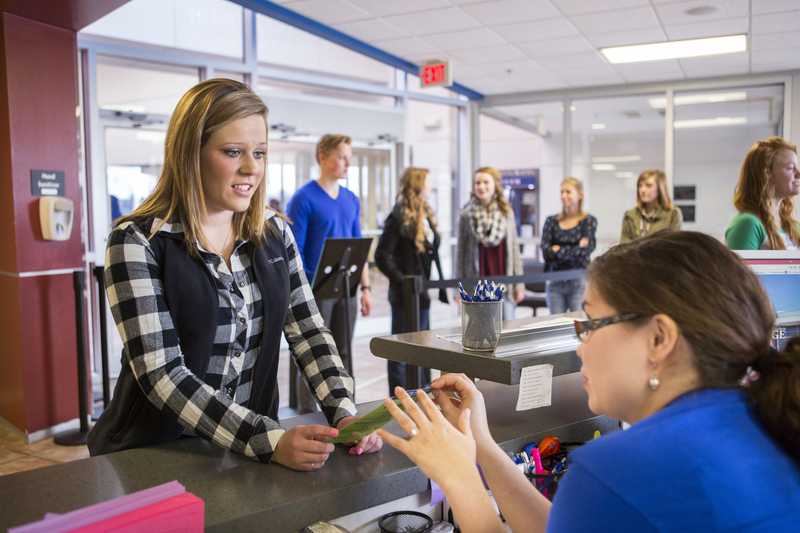 Drop by at any time during Express Enrollment Day to receive assistance with registration and financial aid for fall. What if I have already applied to OTC, but I have not scheduled my classes? We welcome any prospective or current OTC student to join us for Express Enrollment Day. We are here to help you no matter where you are in the admissions process. No! As of September 2015, OTC no longer requires students to take a placement exam in order to be eligible to take entry level English, math, and reading courses. Instead, students are allowed to choose which entry level course is best for them by using their ACT scores or completing OTC’s Guided Self-Placement. You can find out more information about Guided Self-Placement here. No, childcare will not be provided for the event. Yes! OTC will provide lunch for attendees who RSVP. You will need a photo ID (driver’s license), 2016 tax information (1040’s and all W-2s), and 2016 tax information for parents/legal guardians (if under 24, not married, have no children, and not military personnel). We encourage you to bring official (unopened) high school and college transcripts. Also, make sure to know your bank account or credit card information for when you set up payment arrangements. Payment arrangements must be made to secure your classes. Am I required to attend all day? No, however, attendees who do not come for the entire day may not finish the entire admission process. To ensure that you are able to register for classes, please arrive by 9:00 a.m.
Express Enrollment will be held in the Information Commons West building on OTC’s Springfield campus. A check-in booth will be located in Information Commons West Room 117. You can find a map of the campus here. OTC does not require a parking permit. It’s summer time and there are lots of spaces open! Can I bring a parent, family member, or support person? Yes! Due to limited space, there is a limit of two guests per attendee.